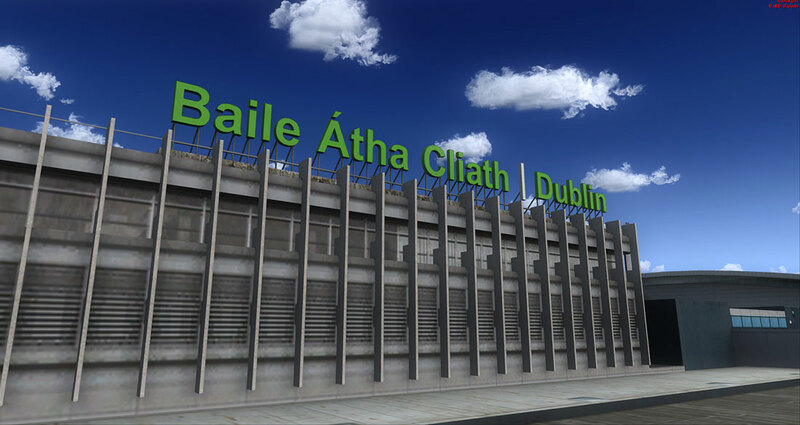 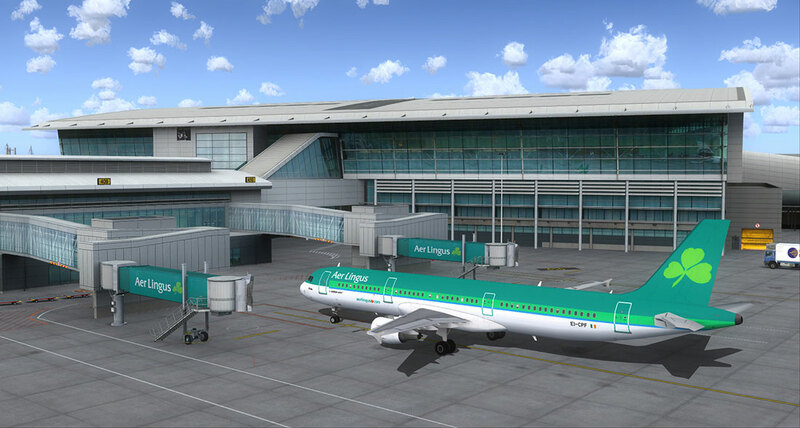 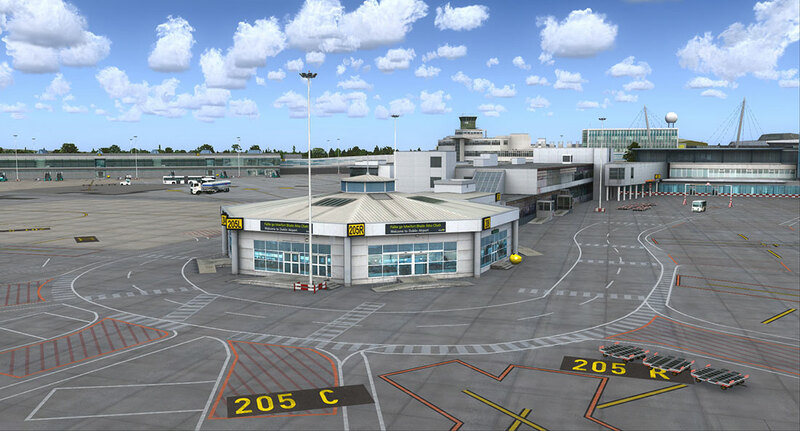 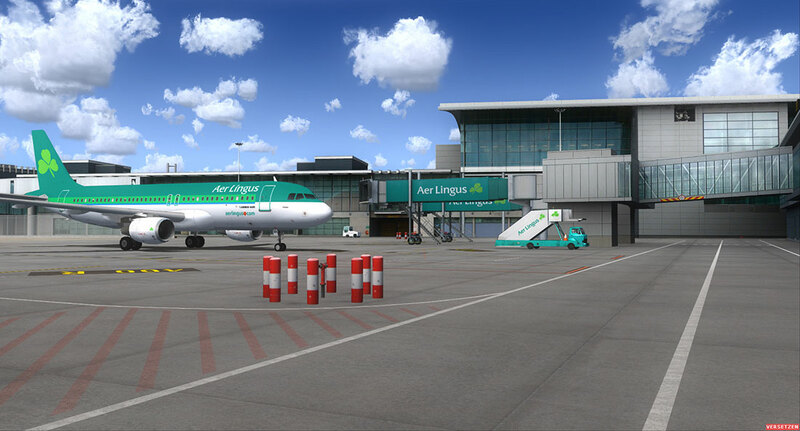 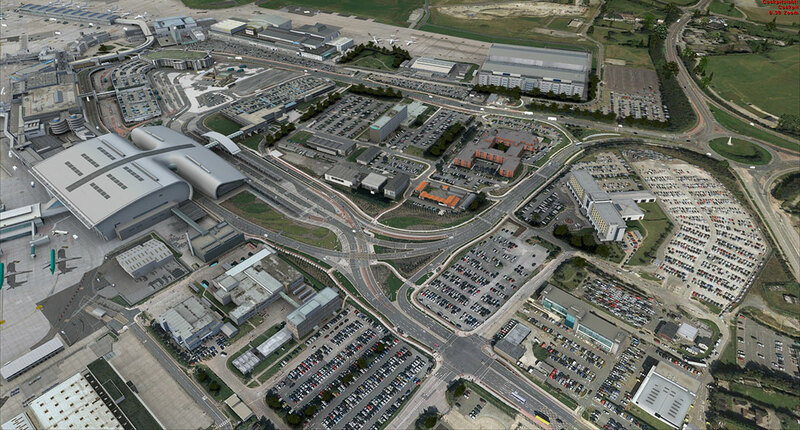 Product information "Mega Airport Dublin"
The capital airport of Ireland for your home flight simulator. 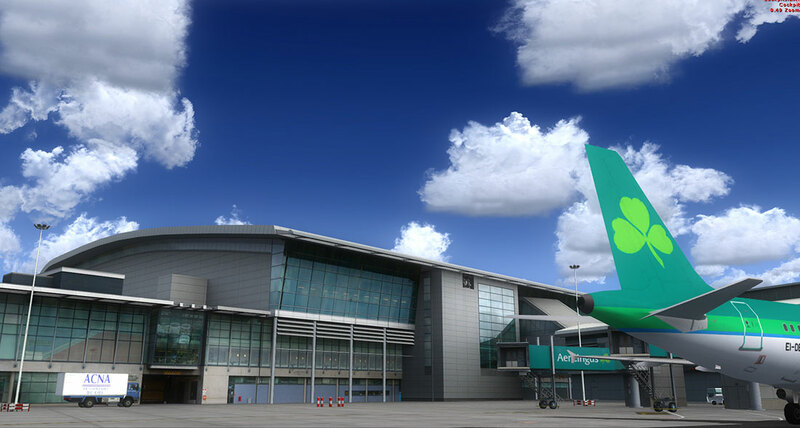 With up to 20 million passenger per year Dublin´s International Airport is of course the number one in Ireland and also ranked 15th of all European airports. 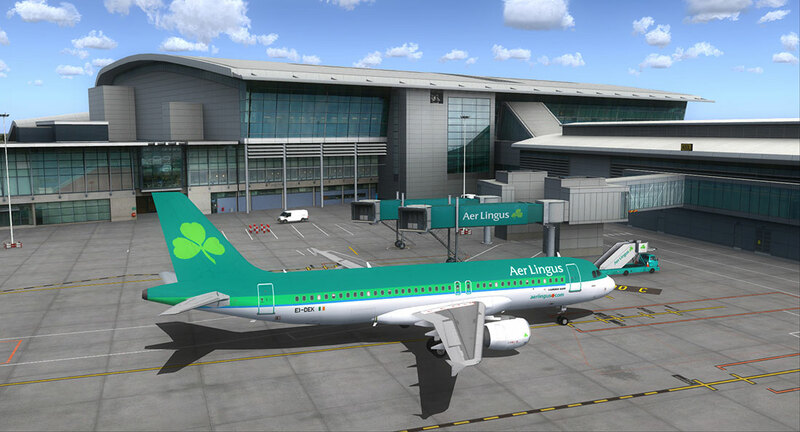 Enjoy a wonderful approach into the Celtic pearl and enjoy something typical irish after the work is done. 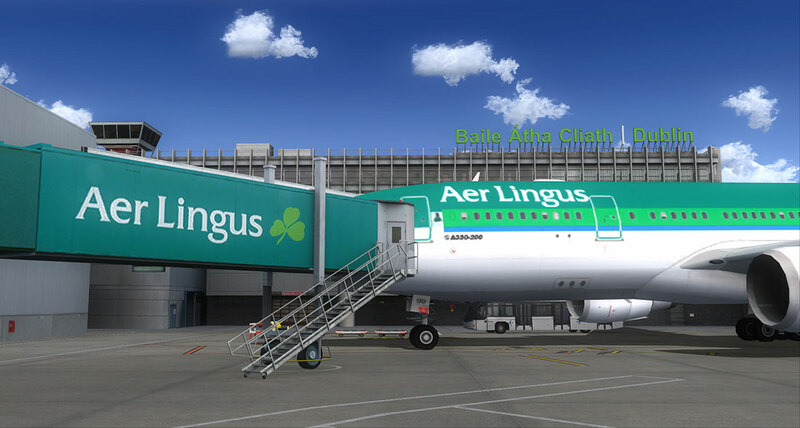 It is served by many international airlines and it is the home base for Aer Lingus and Ryanair. 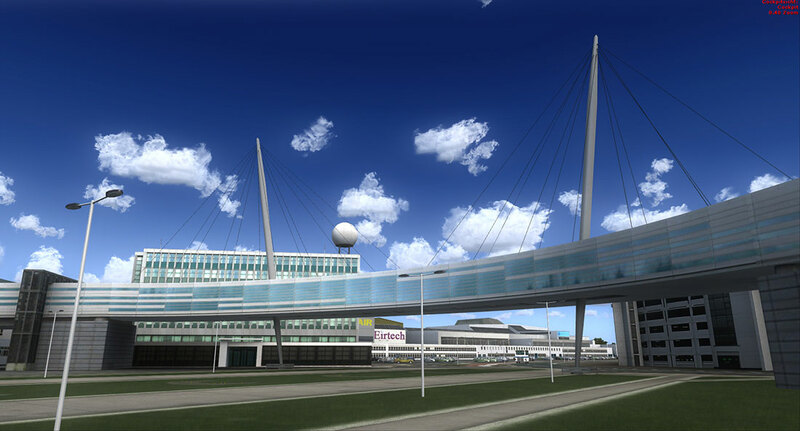 The scenery of the airport which is located 10km north of the city center, is in the final development stage representing the original airport of today. 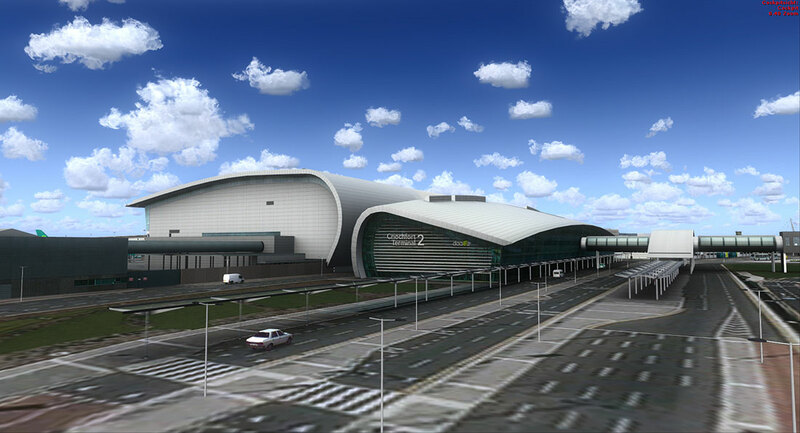 It includes the new Terminal 2, also known as Pier E. The product comes with extremely high-resolution textures and with thousands of small details. 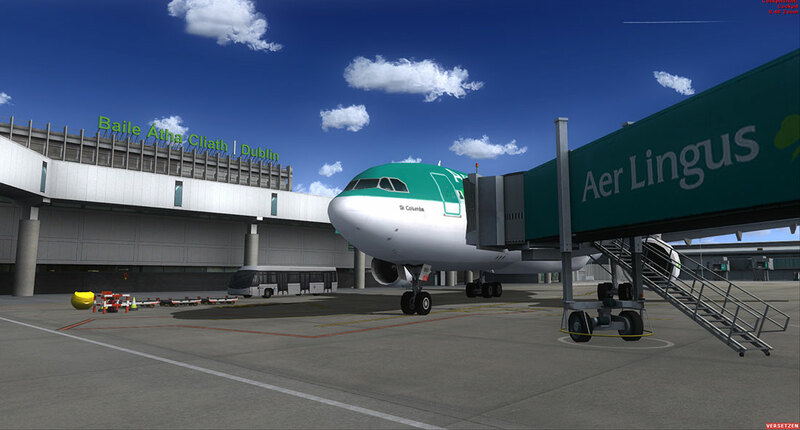 Despite a very large number of these details in 3D, the frame rate stays absolutey stable and excellent. 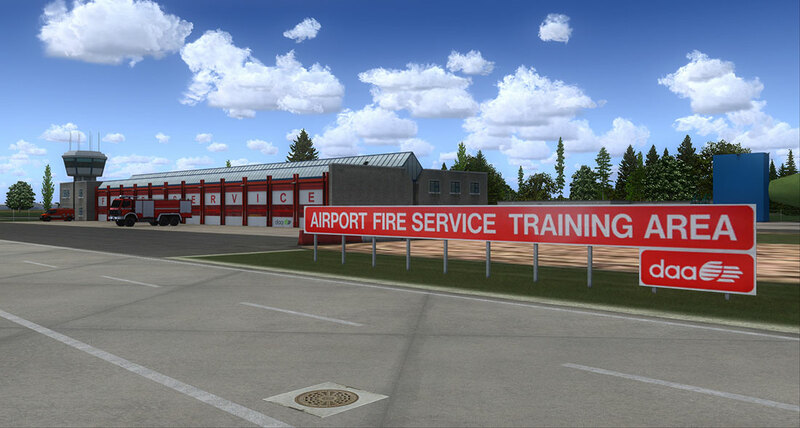 "I really enjoyed this product, it is a solid piece of work that is visually interesting. 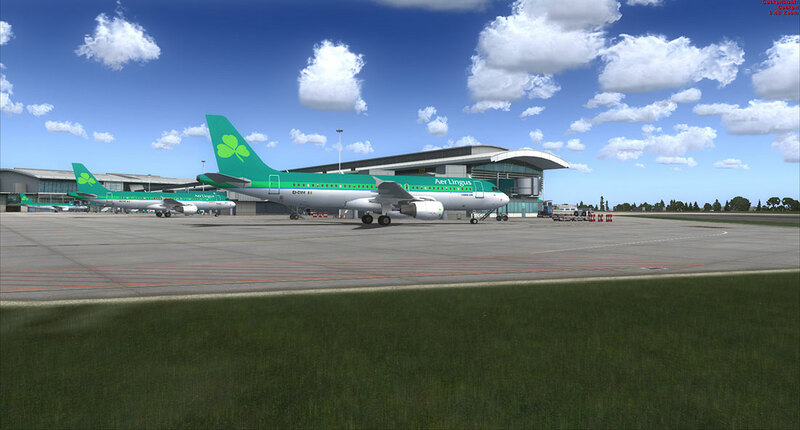 There are very few quality 3rd party addons for Irish airports and this one helps to fill that void. 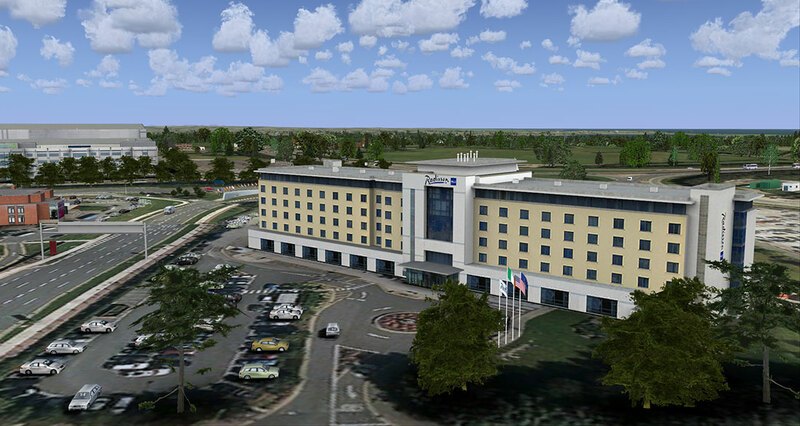 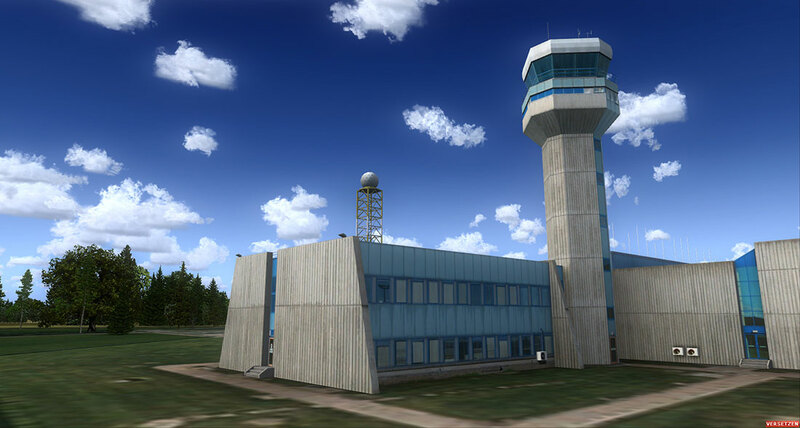 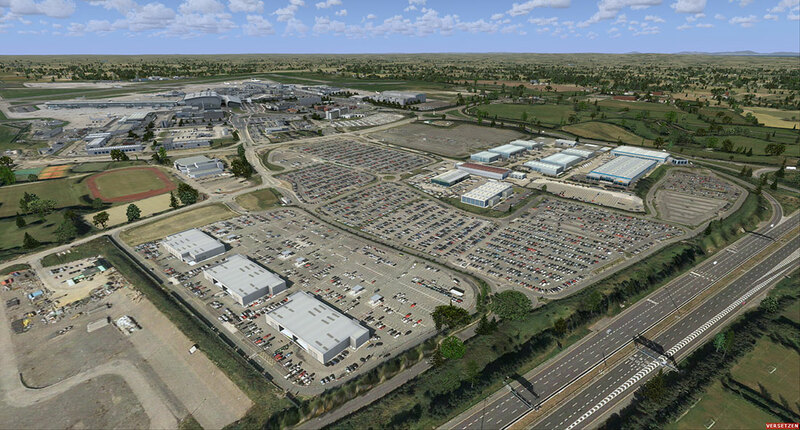 I felt that it was good value for the price and deserves a place in the scenery library of every FSX enthusiast who has an interest in this part of the world." 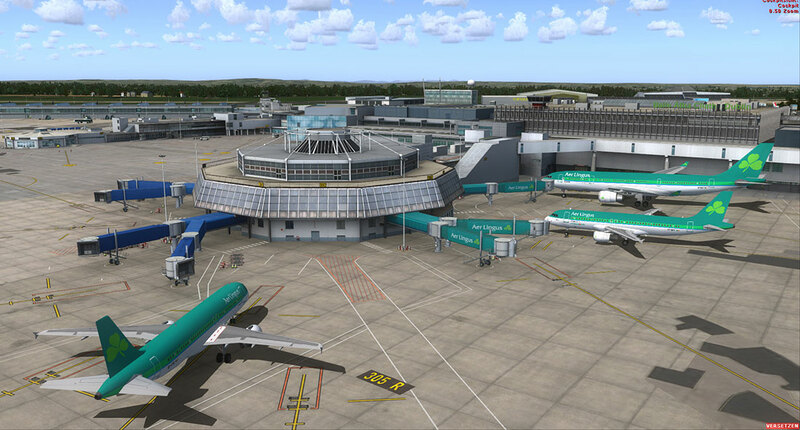 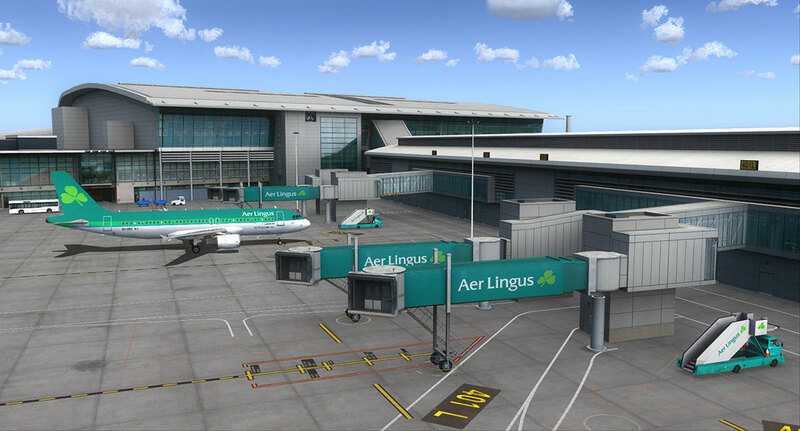 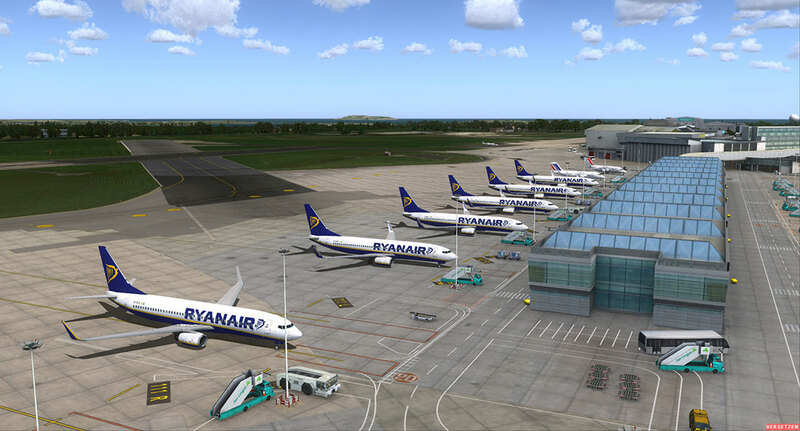 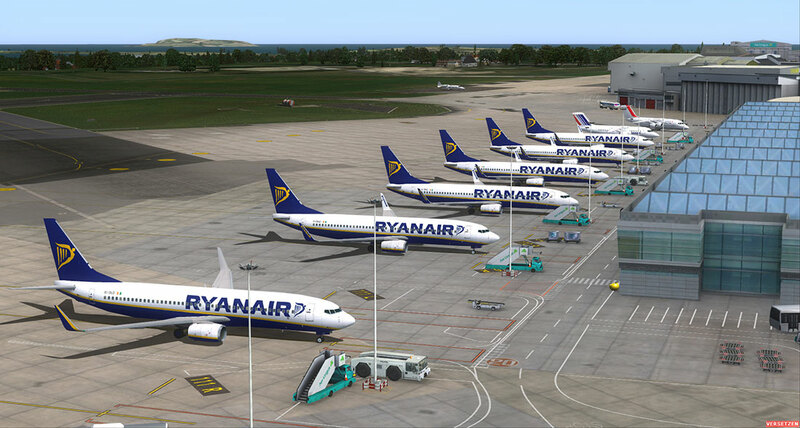 *Note: The FS2004 version of the Mega Airport Dublin is not included on the CD version. 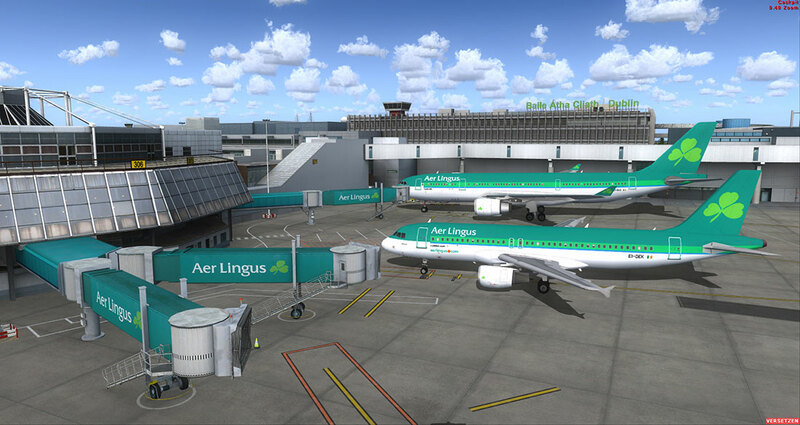 If you purchased the boxed version you can download the FS2004 version for free from our FAQ's/Updates section (product registration required). 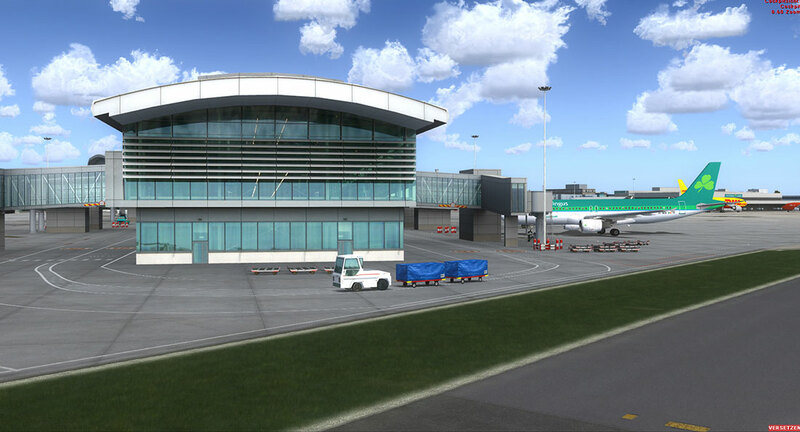 Related links to "Mega Airport Dublin"